DOCTORS WITHOUT BORDERS has been expelled from Myanmar/Burma after two decades of working in the country. The group said that tens of thousands of lives are now a risk. The government defended its decision, accusing the group of creating tensions and instability in violence-scarred Rakhine state, where it has faced repeated protests for treating members of the long-persecuted Rohingya Muslim minority. “Today for the first time in MSF’s history of operations in the country, HIV/AIDS clinics in Rakhine, Shan and Kachin states, as well as Yangon division, were closed and patients were unable to receive the treatment they needed,” the group said in a statement, using the French acronym for its name. It also gives life-saving medicine to 3,000 tuberculosis patients. Even small treatment disruptions can lead to drug-resistant strains that are more difficult and expensive to fight. Presidential spokesman Ye Htut told 7 Day daily on Friday that the contract had been cancelled nationwide. The spokesman criticized the aid group in the Myanmar Freedom newspaper for hiring “Bengalis,” the term the government uses for Rohingya. He also accused it of misleading the world about the attack last month in remote northern Rakhine, cut off to almost all foreigners, including journalists and aid workers. The United Nations says more than 40 Rohingya may have died, but the government has vehemently denied allegations that a Buddhist mob rampaged through a village, killing women and children. It says one policeman was killed by Rohingya and no other violence occurred. We see that their activities, instead of offering assistance in the region, are fuelling tensions and are detrimental to the rule of law. Doctors Without Borders said it treated 22 injured and traumatized Rohingya. Repeated attempts to reach Ye Htut for comment were unsuccessful Friday. 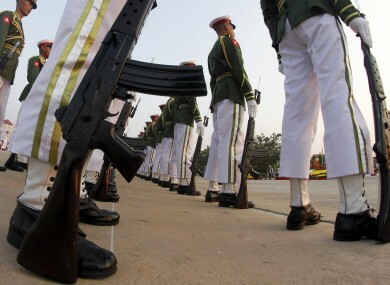 Myanmar/Burma, a predominantly Buddhist nation of 60 million, only recently emerged from a half-century of military rule. Since then, deep-seated ethnic tensions have swept Rakhine state and several other regions, killing up to 280 people and forcing tens of thousands more to flee their homes. Most of the victims have been Rohingya, chased down by Buddhist-led mobs. The United States and others are worried that democratic reforms made in the last three years are being rolled back. Email “'Thousands at risk' after Doctors Without Borders expelled from Myanmar”. Feedback on “'Thousands at risk' after Doctors Without Borders expelled from Myanmar”.